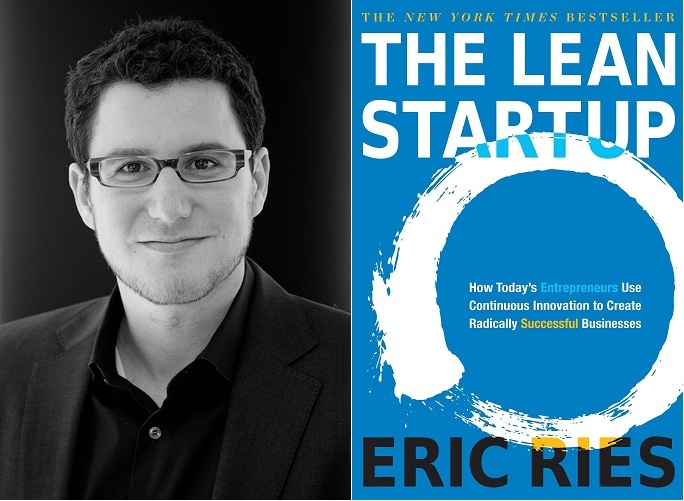 Welcome, Eric Ries, author of The Lean Startup! However, we highly recommend getting and reading the book! In addition to being a book, there is also a yearly conference in San Francisco in December discussing The Lean Startup methodology. The basis of The Lean Startup methodology is the build, measure, learn cycle. Every action is meant to increase knowledge of your market and what your customer wants. Eric got started in software but now has been consulting for and applying the lessons of The Lean Startup to hardware companies. One of Eric’s mentors and now a champion of the methodology is Steve Blank. He has written about “Why The Lean Startup Changes Everything“. One example used was bolting a tablet into a car to test out a car entertainment system. Another was selling a test model of a large scale appliance in the company store, to see if anyone would want it. You can find meetup groups in your city to learn more about and to participate in discussions about The Lean Startup. To hear regular updated and get great links about TLS, follow Eric on Twitter: @EricRies. Many thanks to Eric for taking some time to chat with us about how the field of entrepreneurship is changing and how that might impact innovation in general. It was great to speak with him and learn more about The Lean Startup! Most interesting interview! Really awesome topics touched by Eric. Regarding the radio/no-radio discussion, that made me remember one recent experience as a user. For a long time I was a subscriber of a paid TV provider and was a bit peeved that their a receiver did not have a clock (just like the typical VCR clock). After switching to another provider (due to other reasons), I gladly found their receiver has a clock, which adds to the list of things I disliked about the previous provider. Although this is only a minor detail, it shows how very minor features can be perceived differently by different people – either this or the other receiver never went through an user acceptance testing. Lovely chap, but I’m afraid it is a reminder of why I became (and stayed) an engineer rather than going down the much more profitable and socially mobile route of MBA and Management. I’m afraid my brain just zones out when another consultant tells me how wonderfully successful they have been though using their own miraculous system. Like I say, lovely chap, but can we stick to engineering please? Yup! Eric is as MBA-y as we’ll go on The Amp Hour, and I think you’ll agree he wasn’t that far. In fact, I would argue he’s really improving the whole field by promoting discovery and data driven feedback vs the normal rah-rah “leadership” crap most management consultants promote.